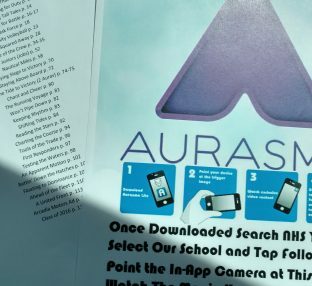 Yearbook 3D, the free augmented reality mobile app exclusively from Walsworth, is changing the way people look at yearbooks. Yearbook staffs, students and news media are all watching in amazement as Yearbook 3D brings their yearbook to life. 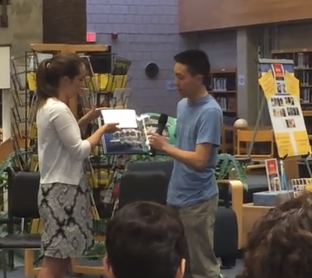 According to a recent article from The Wilton Bulletin, senior yearbook editors Kate Bell and Andrew Lee from Wilton High School in Wilton, Conn., got the opportunity to present Wilton’s 2014 yearbook to their local Board of Education. The yearbook staff from A.E. 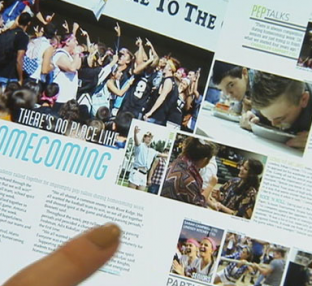 Wright Middle School in Calabasas, Calif., was the latest to enjoy some local news coverage on their 2014 book this week. The Acorn newspaper paid the school a visit to write about this year’s A.E. Wright book and its use of augmented reality, thanks to Walsworth’s Yearbook 3D platform and the Aurasma app. 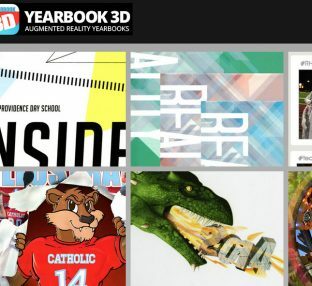 The yearbook staff from Polytechnic High School in Riverside, Calif., used Walsworth’s Yearbook 3D platform to make their 2014 book a rich, interactive experience. Grafton High School in Grafton, Wis., used the Yearbook 3D platform and the Aurasma app to add some fun, amazing animations to its 2014 yearbook. Not only did the augmented reality amaze students, but local TV station Fox 6 recently paid the Grafton staff a visit to do a story about this year’s book.